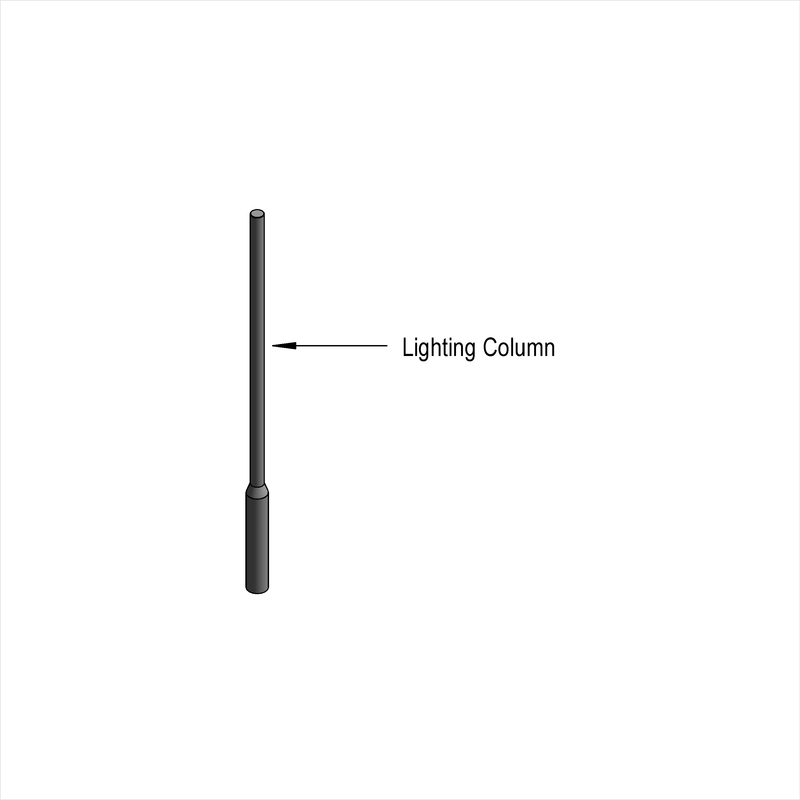 Aluminium lighting columns are described by characteristics such as format, profile and cross section. An example use may be within an amenity lighting system. 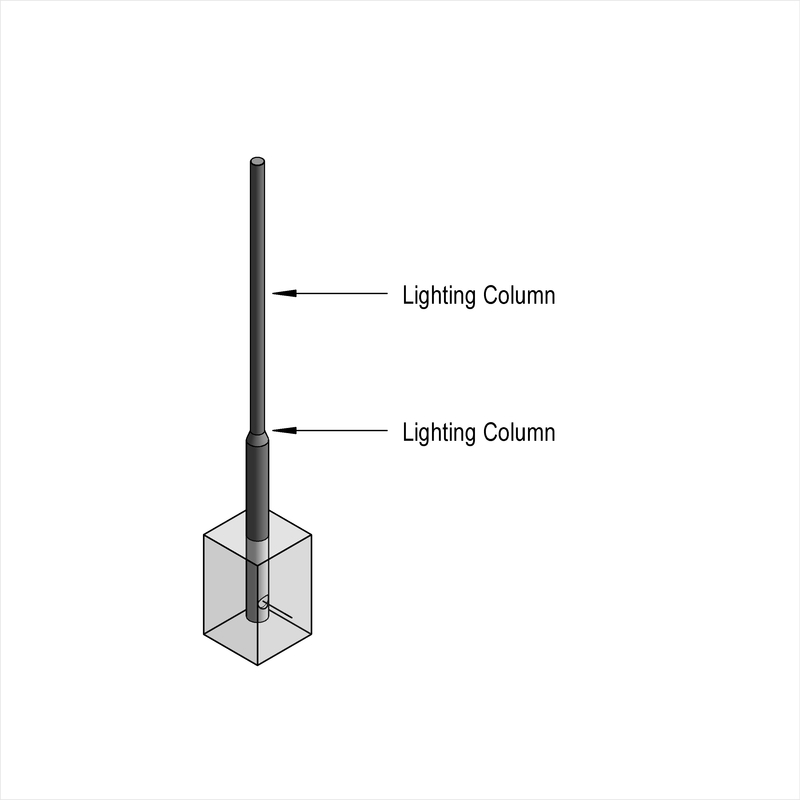 Complete this electronic spreadsheet to ensure that your Aluminium lighting columns product information meets the requirements of Level 2 BIM. This is important as it will enable your customers to select, specify and use your products within the BIM environment. Once you have completed this template you can host it on your own website or distribute it to your customers. Please note that we do not host completed product data templates within the BIM Toolkit. 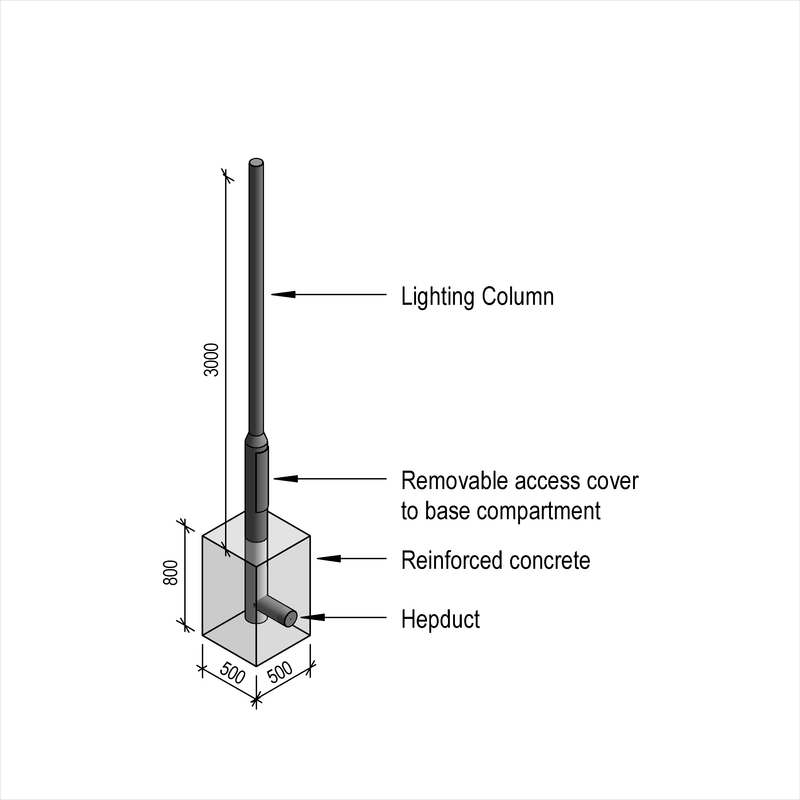 The above illustrations are for Steel lighting columns from the NBS section Lighting columns, bollards and supports. 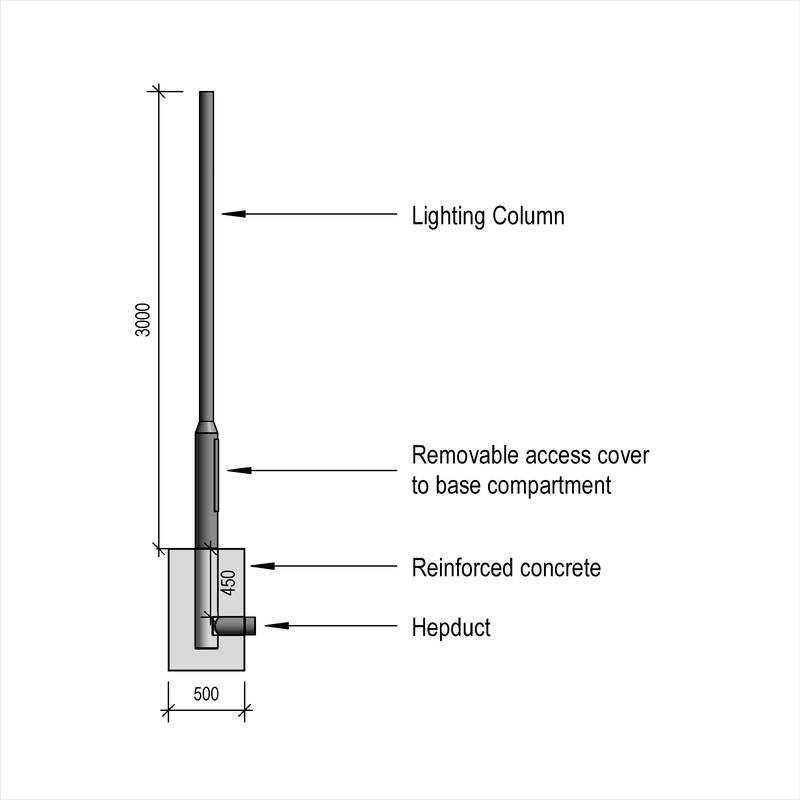 This is indicative of the LOD requirements for Aluminium lighting columns. Manufacturer The Manufacturer of the Aluminium lighting columns. Standard An example value being To BS EN 40-6. Performance under vehicle impact - Speed class An example value being 50 km/h. Performance under vehicle impact - Energy absorption category An example value being HE. Performance under vehicle impact - Occupant safety level An example value being 1. Format An example value being Base hinged. Profile An example value being Parallel sided and stepped. Cross section An example value being Hexagonal. 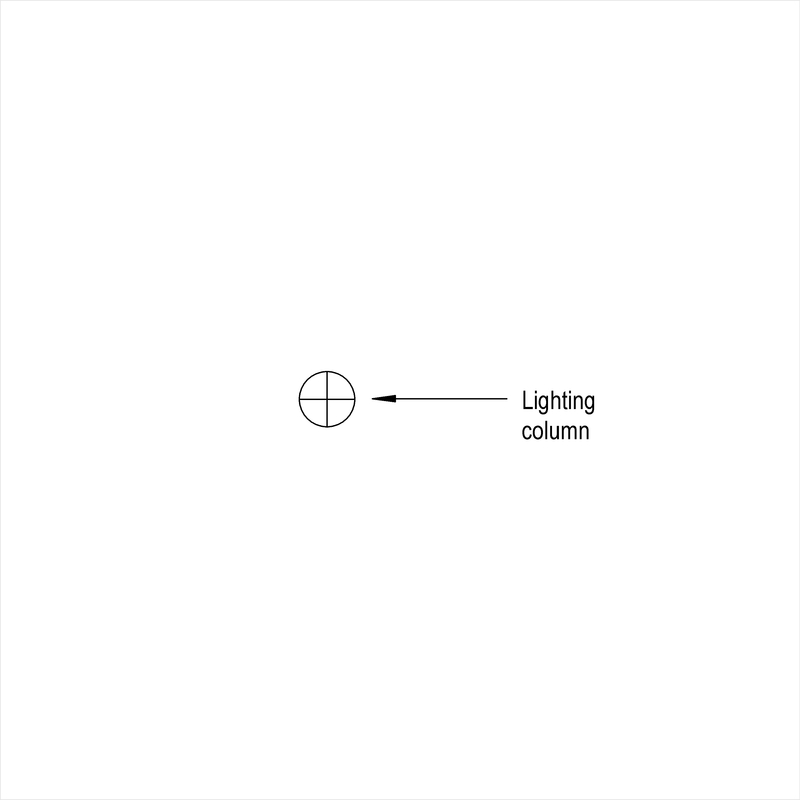 Mounting diameter or width (nominal) An example value being 75 mm. Height (nominal) An example value being 3 m.
Base - Type An example value being Bolted flange. Base - Root length An example value being 750 mm. Base - Root length - Colour An example value being Blue. Lantern fixing dimension An example value being 42 mm. Corrosion protection - Area A An example value being Anodized. 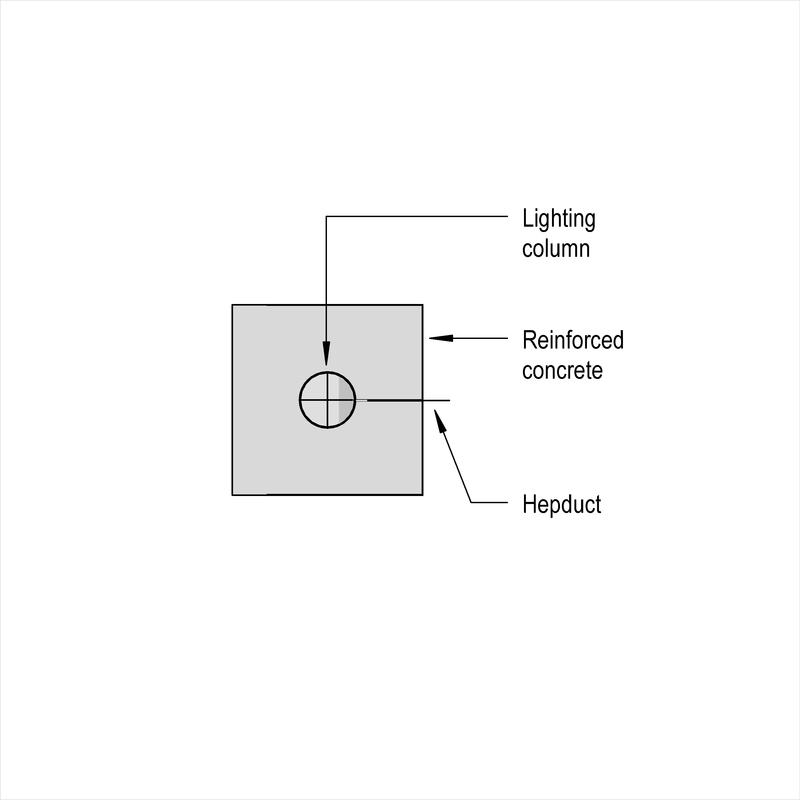 Corrosion protection - Door lock pattern An example value being Same for all columns installed. Corrosion protection - Area B An example value being Bituminous paint. Corrosion protection - Area C An example value being Bituminous paint. 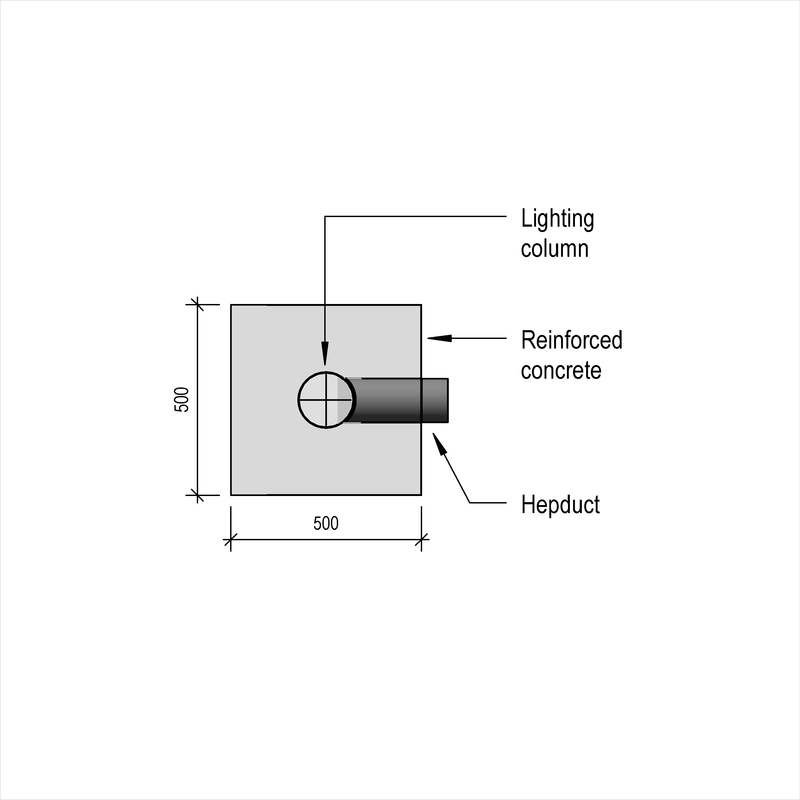 Corrosion protection - Keys An example value being Same for each group of columns. Column door locks and keys An example value being Door lock pattern to be the same for all columns installed. Keys to be the same for each group of columns. Identification An example value being To Highways EnglandSpecification for highway works Volume 1. Identification - Manufacturer’s marking An example value being To Highways Agency ‘Specification for highway works’, Volume 1. Accessories An example value being Banner arms.